For absords moisture and soothes irritated skin with highly absorbent tapioca starch able to absorb both moisture and oils. It is paraben-free, natural, and vegan. 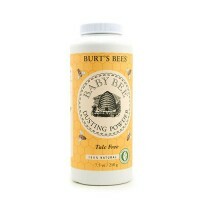 Nature's baby organics silky dusting powder is made with organic aloe, chamomile & calendula. 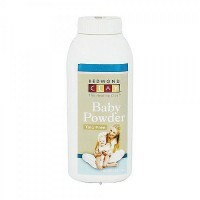 Finish diaper changes with a delightful, feather-soft puff of powder. 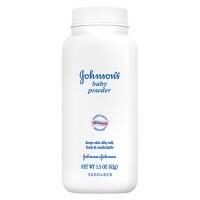 This 100% talc free powder is made with highly absorbent tapioca starch able to absorb both moisture and oils. To further soothe and calm irritated skin, we added certified organic aloe and chamomile. Dust over baby's bottom to absorb wetness and relieve chaffing. The whole family can use it to stay fresh and comfortable despite heat- or exercise-induced perspiration. Orgranic tapioca starch, organic chamomilla recutita flower extract, organic echinacea angustifolia extract, organic goldenseal extract. 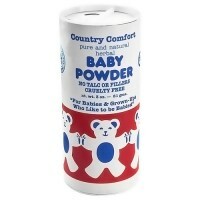 Dust lightly over baby's bottom to absorb wetness and relieve chafing and prickly heat. Sprinkle in athletic shoes, underarms, or on skin anywhere that chafing occurs. As with all bath items, take care to avoid inhalation and contact with eyes. Test on a small area of skin if known to have allergies. Not for internal use. Keep out of reach of children.